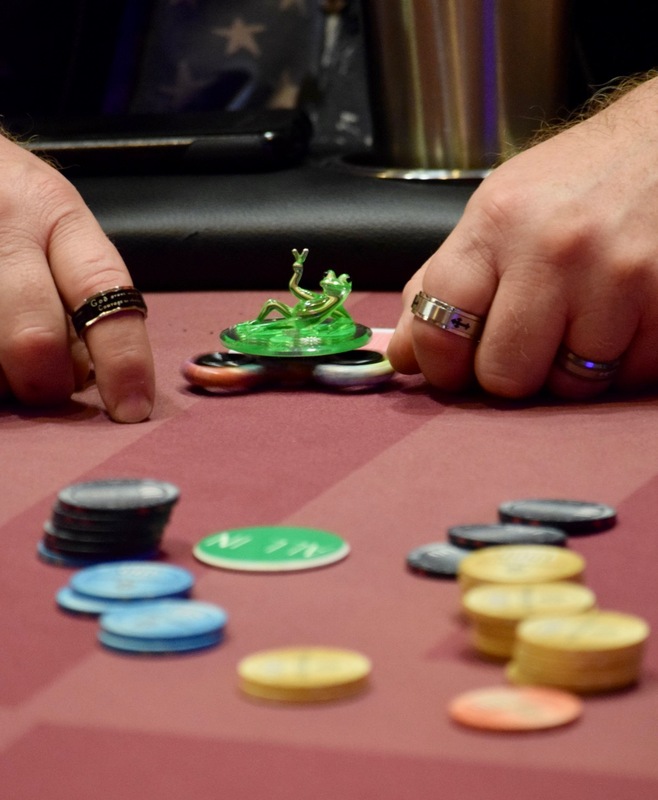 There's already 17,000 in the pot preflop and Monte Gilley adds his last 25,300 postflop, looking to his challenger for a response. Gilley sits expressionless, his figdet spinner staying in action in front of him, the only detectable movement. The sits on the felt, and close to four minutes goes by before Gilley gets a call from his challenger. The board runs out and Gilley moves to 72,000.